From the punch card calculating machine to the personal computer to the iPhone and more, this in-depth text offers a comprehensive introduction to digital media history for students and scholars across media and communication studies, providing an overview of the main turning points in digital media and highlighting the interactions between political, technical, social, and cultural elements throughout history. 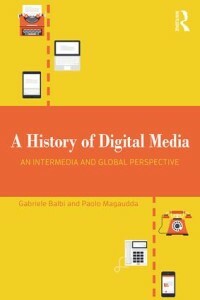 With a global scope and an intermedia focus, this book enables students and scholars alike to deepen their critical understanding of digital communication, adding an understudied historical layer to the examination of digital media and societies. Discussion questions, a timeline, and previously unpublished tables and maps are included to guide readers as they learn to contextualize and critically analyze the digital technologies we use every day.